I received this beautiful letter from my friend Cherry today. Her words were so heartfelt about the service that we are doing here in Service Boot Camp, and I wanted to share them with all of you. Service Boot Camp is made up of women of all different faiths and walks of life. Each of us has our own reasons for making these journals for The Write It Out Project, our own motivations for serving others. Our common motivation is love. Like Cherry, my motivation for serving is my love for the Savior, who set the example of service for us all to follow. I was specifically drawn to this project, because the death of a serviceman has also deeply affected my family for generations now. My Grandma Gladys was a military widow. She was a strong woman. Her life was difficult. My grandfather Henry (pictured above) died when my mother Susan (the baby on the left) was just four months old. Luckily my grandma's family reached out and took care of them. The love that they showed and continue to show for my Mom and my family is amazing. I don't know what my family would be like, without the love and service that was shown to them by these friends and extended family members. I wish I knew my Grandfather Henry Czekala. 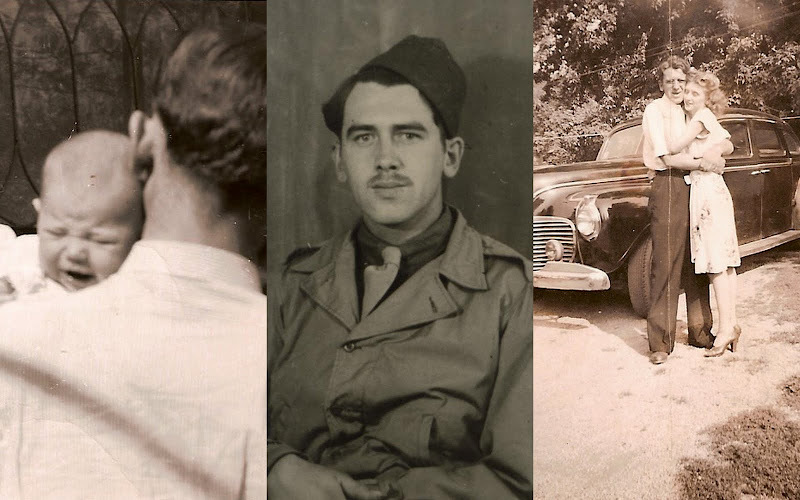 I have spent a great deal of time searching out his relatives and asking for their help in piecing together a story about his life and personality. By making journals for other military widows, I hope to at least lighten the load for other women who are dealing with the loss of a loved one. Hopefully they will each feel the love that was put into making these journals and internalize that love. Love expressed can work miracles in the lives of others. Today, my mother and father are celebrating 38 years of wedded bliss. They are the happiest couple I have ever met. Also, my sister is expecting her first child...a boy...they will name him Henry. To date we have 150 journals pledged to The Write It Out Project! I originally set a goal of 50 journals, so you have all exceeded my expectations! 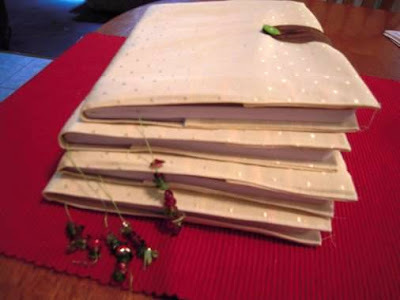 Here are some journals that my friend Deb and her sewing group made over the weekend. I think this is such a meaningful sentiment...to take something that brought joy to your own home and use it to comfort others. It makes me so happy seeing these familiar curtains used in this way. And look! She added bookmarks!! They are actually sewn into the journal cover! Well, I hope that everyone has a safe and Happy Memorial Day! Please remember to update me about the number of journals you complete by Monday. The winners of our Service Boot Camp Giveaway will be announced on Tuesday, June 1st! how very lovely,Jocelyn. It startled me to see my father's pictures. Oh and the covers I made were not from the literal curtains but from the left over fabric that is still like new. I loved those curtains which were left at 809...so it was fun playing with this fabric again. Wonderful pictures, wonderful job on tripling the goal. :) I love the service orientation of this blog. It makes me want to strive to do more for people every day. Keep it up! Mine are boxed up ready to mail tomorrow I had to do 3 boxes to fit them all and they not be too heavy. i love the Pictures of your Grandparents . This has been such a great service project to be involved in. as a Mom of a National Guard soldier and a wife of a retired Air-force Master sergeant i have loved this opportunity to serve fellow Military wife's and family's. Thank you for the opportunity to serve and for being the wonderful person you are Jocelyn. 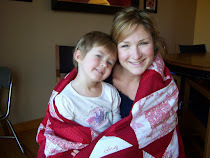 great project I just donated to the cause since I have no time to sew at this time. Enjoyed your story of your grandfather. Hope someone writes it all down and self publishing it for your family. i wrote my dad's history he died in an accident when I was 5 and used his love letters to my mom to reconstruct his life plus interviews with living family at the time. I really came to know him better. Family is forever. YOU GUYS ARE ALL AWESOME...GOOD Job!